Ethereum Price Technical Analysis – Next Leg Higher Underway? Ethereum price after correcting a few points vs the US Dollar found support and moved higher once again. There is a bullish trend line formed on the hourly chart (data feed via Kraken) of ETH/USD, which is acting as a support for the price. It looks like the price may test the last swing high of $14.88 one more time if the current trend stays intact. 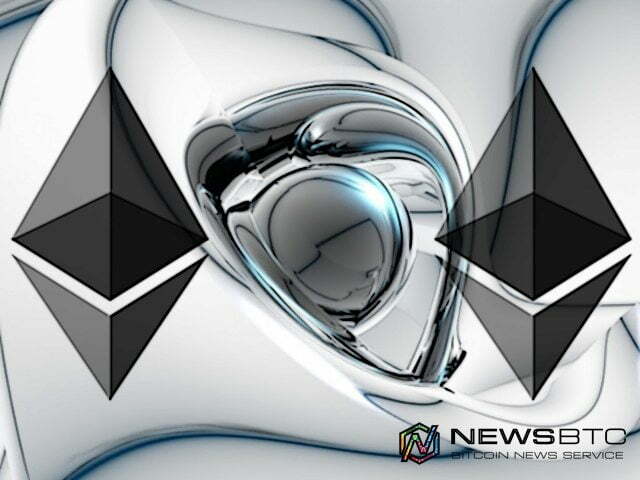 Ethereum price after completing a correction phase started to gain bids once again, which may push ETH/USD towards $15.00 in the short term. Ethereum price ETH traded as high as $14.88 this past week where it found offers and moved down. The price traded as low as $12.80, and completed a correction phase. ETH/USD started to trade higher once again, and it looks like there is a chance of a move towards $15.00 in the short term. There is a bullish trend line formed on the hourly chart (data feed via Kraken) of ETH/USD, which is acting as a buy zone. The most important point is the fact that the price is now back above the 100 hourly simple moving average. The price also broke the 50% Fib retracement level of the last drop from the $14.88 high to $12.80 low, which points that there is a high probability that ETH/USD could retest the last swing high. As long as the price stays above the trend line support area, it may retest the $14.88 level or may even break it to test $15.00. I have been looking for a test of $15.00 for a long time, and it looks like a possibility in the short term. Hourly MACD – The MACD may be heading towards the bullish zone, which may take ETH/USD higher. Hourly RSI – The RSI is above the 50 level, which is a positive sign.